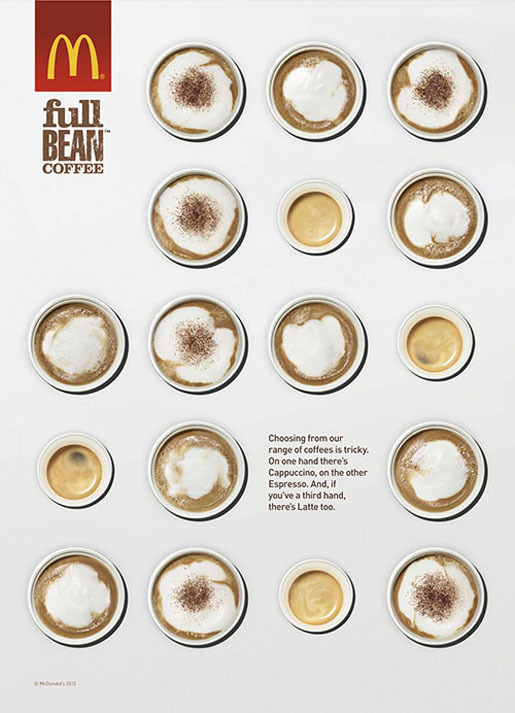 McDonalds UK is running “Cups”, an advertising campaign featuring snippets of conversations taking place over full bean coffee at McDonald’s. 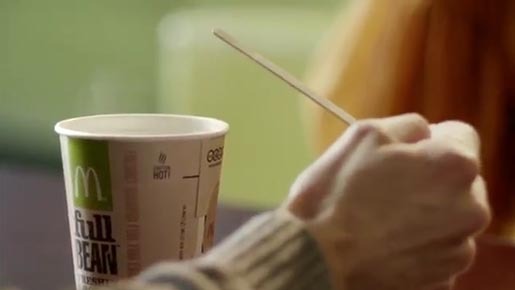 A 30 second TV advert uses hands and coffee cups to convey the emotions of characters as they interact with each other. 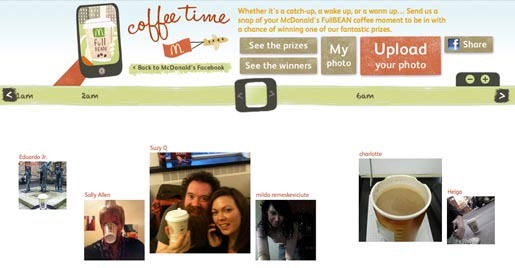 A radio ad features dialogues from different people all over the country, initiating conversations that are best had over a McDonald’s coffee. 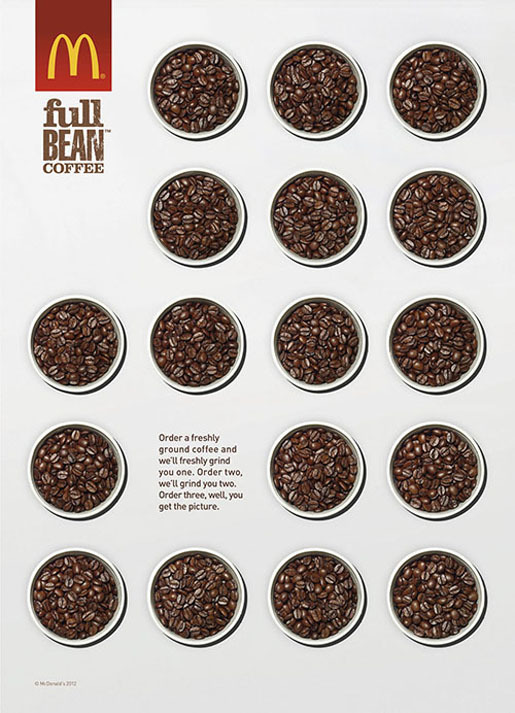 A series of print ads focuses on the coffee cups from above, highlighting the quality of espresso, the range of coffees, and freshly ground beans. The McDonalds UK Facebook page includes a McDonalds Coffee Timeline in which Full Bean users can upload their photographs and notes. 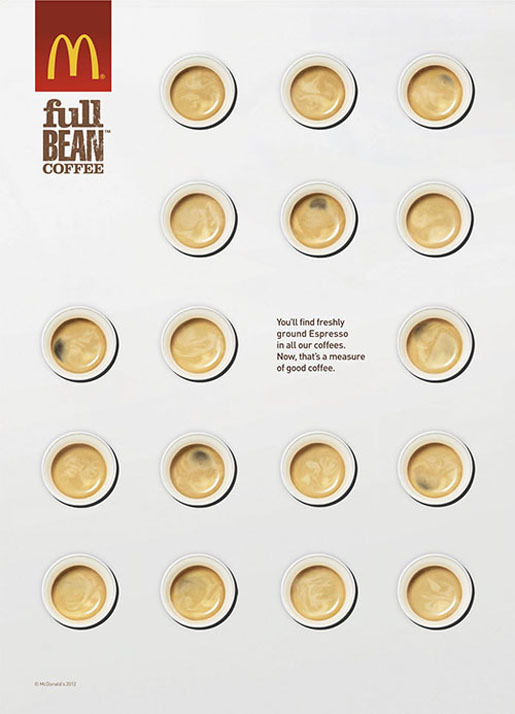 The Cups campaign was developed at Leo Burnett London by executive creative director Justin Tindall, creative director Adam Tucker, creatives Rob Tenconi and Mark Franklin (TV and Radio), creatives Ed Tillbrook and Richard Ince (print), agency producer Ben Catford. 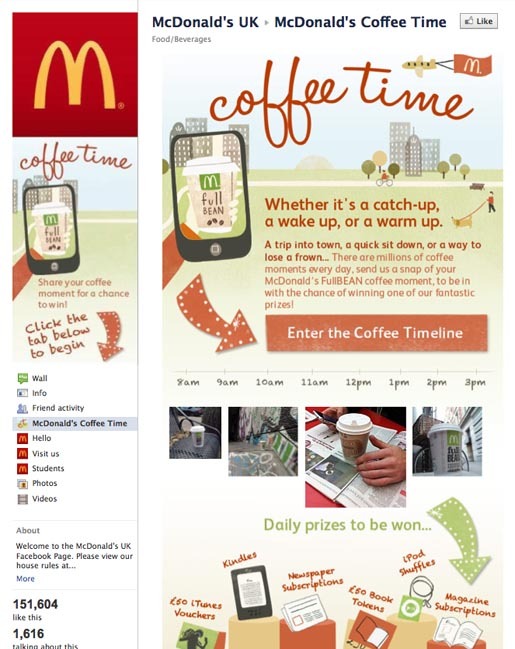 Media was handled by OMD. Filming was shot by director Peter Cattaneo at Academy Films with producer Juliette Harris. Post production was done at The Moving Picture Company. Editor was Scot Crane at The Quarry. Sound was produced at Wave Studios.